Julie Swann has been named chief nursing officer (CNO) and vice president of patient care services of Emory Saint Joseph's Hospital. She has been serving in this role in an interim capacity at Emory Saint Joseph's since March. Swann began her career at Saint Joseph's Hospital in 2000 as a staff nurse in the intensive care unit (ICU) and was later promoted to unit director. During her 12-year tenure in the ICU, Swann and the entire team received the Beacon Award for Critical Care Excellence from the American Association of Critical Care Nurses for exceptional patient care. In 2012, Swann was promoted to the position of specialty director of cardiovascular and electronic intensive care unit (eICU) services, which includes the management of operations and resources for the eICU. She also managed the Center for Advanced Heart Failure, the cardiac catheterization lab, the Electrophysiology (EP) Lab, cardiac rehabilitation, Admission Recovery Unit (ARU) and non-invasive cardiac imaging. "Julie's leadership experience, combined with her enthusiasm and commitment to Emory Saint Joseph's, is a tremendous asset to our team. For many years, she has been dedicated to providing compassionate, clinically excellent health care and furthering the Mercy Mission of Emory Saint Joseph's. 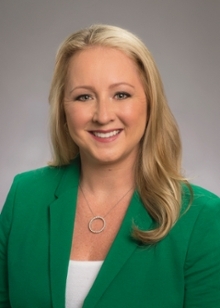 Julie's focus on patient and family-centered care will continue to benefit those we serve as she leads our nursing team into the future," says Heather Dexter, CEO of Emory Saint Joseph's. Swann's additional leadership roles include serving on the Value Acceleration Process (VAP) cath stenting team, the Transformational Leadership Council, the Cardiology IS Governance Committee and the Joint Commission Steering Committee. Swann is the recipient of several awards including the McAuley Award, for furthering the Mercy Mission of Emory Saint Joseph's Hospital and the 2014 Mercy Leadership Award. The San Diego, Calif., native holds a Bachelor of Science in nursing and biology from the University of Memphis, and a Master of Science in health administration and business administration from Georgia State University. In 1995, Saint Joseph's Hospital was the first hospital in Georgia and only the third hospital in the world to receive Magnet designation as a reflection of its nursing professionalism, teamwork and quality in patient care. Magnet recognition is granted by the American Nurses Credentialing Center's (ANCC) Magnet Recognition Program, which ensures that rigorous standards for nursing excellence are met. In 2014, Emory Saint Joseph's was the first community hospital in the world and one of only three hospitals to earn five consecutive Magnet designations. Emory Saint Joseph's is a member of Emory Healthcare, the only health care system in the state to have two Magnet designated hospitals, including Emory University Hospital.